​Beth personally fostered more than a hundred dogs as well as vetted and cared for countless dogs for rescue. She has touched and impacted hundreds of people through her work saving and rescuing dogs, and by creating the Southeast GSP Rescue. Her dedication and love of GSP’s will live on forever in the dogs we rescue. ​Thank you Beth – you will always be in our hearts! 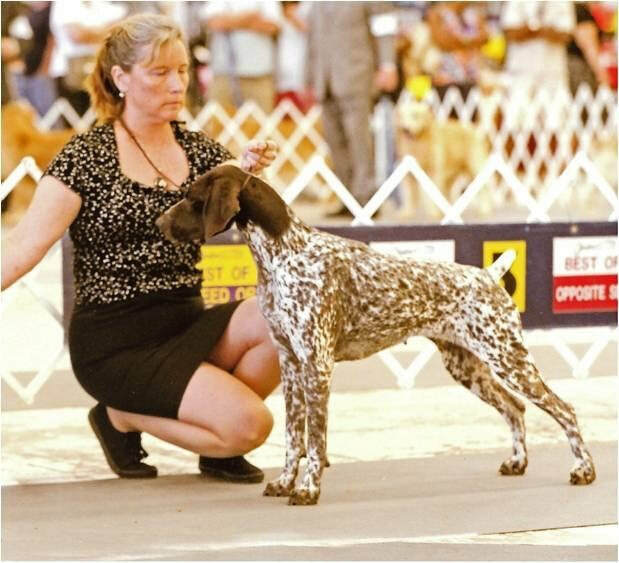 Back in 1990, Beth Cochran got her first GSP. She joined the GSPCA, got the journal and saw an article about rescue. There was no one in the southeast and she saw a need she could address. For the first few years, Beth managed rescuing dogs on the East Coast as a very small group, communicating with a few volunteers by phone and mailed newsletter - there was NO email or Internet then. Beth fostered and placed some dogs and some went to other regions including the New England area. She kept a phone log of calls and dogs and conversations. There were often no home visits and dogs were transported by networking along the route to folks who could help out. Technology advanced and soon there was email. Beth lived in NC at the time and drove hundreds of miles to pick up and deliver foster dogs in GA , FL, TN, SC. Beth was the coordinator for the Southeast states with about 3-5 volunteers total at any one time – it was small, but the rescue was on its way. Slowly, Beth grew the rescue. SEGSP placed about 10 dogs a year. Beth often funded them out of her own pocket, sometimes having rescue owe her a thousand dollars or more until she could place some dogs. In 2007, Beth moved to GA for work. The SEGSP website was created and with better networking and communication, the number of volunteers increased considerably. Beth soon joined Facebook and from there SEGSP Rescue has grown exponentially. SEGSP now rescues over 80 dogs each year and has over 500 volunteers in 7 states – quite an accomplishment thanks to the tireless work and dedication of Beth Cochran!